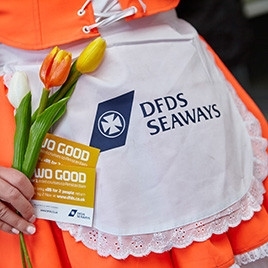 A way of promoting a DFDS Seaways in North Shields' competition to let the public in with a chance to win a free mini cruise. Attended two large events in the North East; Summertyne Americana Festival at The Sage (which DFDS sponsored), Gateshead and The International Sunderland Airshow. 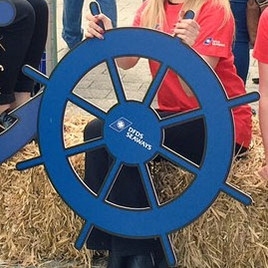 At each of these events we set up a DFDS station with a branded table, bales of hay to really bring the style of the wild west to the North East, popcorn machine with free popcorn in branded popcorn bags, nautical photo frame cut-outs, Jack the DFDS Parrot and our amazing promotional staff. 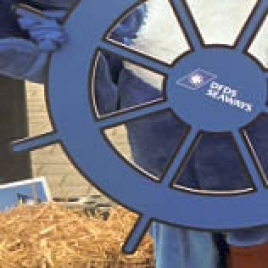 First up was the Summertyne Americana Festival where the promotional staff handed out competition forms to give people a chance of winning a free mini cruise with DFDS. 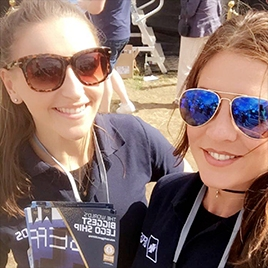 To entice the crowds the staff distributed free popcorn in branded DFDS packaging to those enjoying the bands and live acts. Spectators were encouraged to fill out competition forms and enjoy their free popcorn while the youngsters got their photos taken with Jack the Parrot and enjoyed the live entertainment. 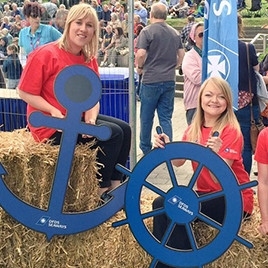 At The Sunderland Airshow the staff had a wooden DFDS ferry to keep them company and an ample spot on the seafront made for an extremely busy day. Deck chairs, gazebos and bean bags were out for the public who took a welcomed break from the hectic day, filling in competition forms and eating their free popcorn. Click here for more of our work with DFDS Seaways.